Even though Google Glass was pulled from the market months ago, studies testing the use of this technology in medicine continue to be published. The latest is a pilot from a cardiology group at the VA in Dallas, testing the use of Google Glass to facilitate the interpretation of coronary angiograms. This isn’t the first time that Google Glass has been tested in the catheterization lab. A group from the University of Arkansas described use of the wearable for intra-procedural expert support during a PFO closure. 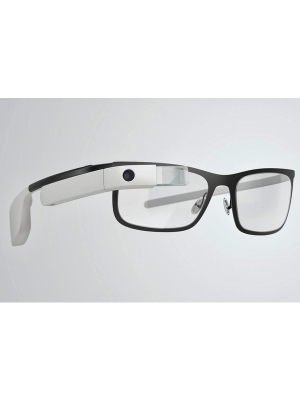 Fifteen angiograms were recorded using the Google Glass from the monitor in the catheterization lab. Two cardiology attendings and eight fellows participated; each participant interpreted each angiogram. Angiograms were interpreted in three ways: Google Glass recordings reviewed on an iPad, Google Glass recordings on a desktop, and the original angiogram reviewed on a desktop. There was no significant difference between the three modalities (P=0.06 for Glass on iPad vs. original on desktop and P=0.43 for Glass on desktop vs. original on desktop). There were several important limitations to this study. First, when asked about perceptions on the quality of recordings, the majority (60%) were “somewhat satisfied.” Additionally, the study was small with very few practicing interventional cardiologists. Even more concerning, the biggest problems with interpretation of Google Glass recordings, on either an iPad or desktop, was left main lesions or coronary perforations. Overall, the use of Google Glass for this purpose seems like an attempt to shoehorn a technology into a perceived need. Here, the data – angiogram images – are usually viewable in other ways, such as web viewers. There are other contexts, however, where it could be useful. For example, it would be a lot less straightforward to get an intra-procedural consult if you need to multiple types of data like echo images in addition to angiograms or the access site. There are also interesting applications for education and training in a variety of procedural and surgical fields. Duong T, Wosik J, Christakopoulos GE, Martínez Parachini JR, Karatasakis A, Tarar MN, Resendes E, Rangan BV, Roesle M, Grodin J, Abdullah SM, Banerjee S, Brilakis ES. Interpretation of Coronary Angiograms Recorded Using Google Glass: A Comparative Analysis. J Invasive Cardiol. 2015 Oct;27(10):443-6.